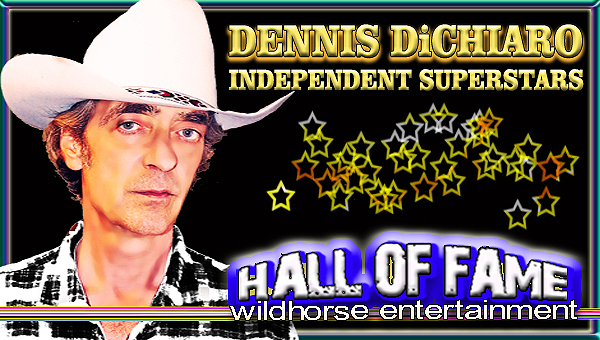 Dennis DiChiaro has the honor of being the first artist/songwriter to be inducted into the Independent Superstars Hall Of Fame for 2018. 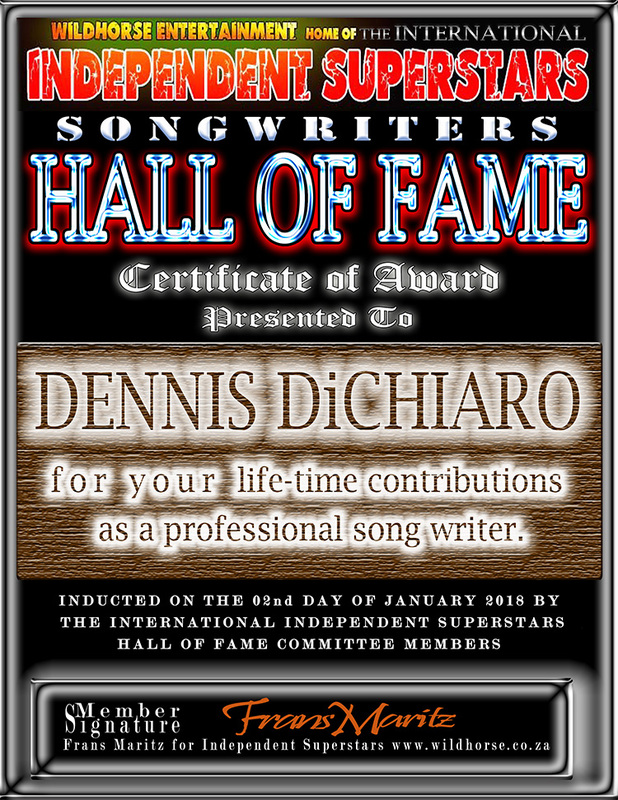 His inducted is now official which makes Dennis the latest Songwriter, to be inducted into the Independent Superstars “Songwriters” Hall of Fame. Frans Maritz of Wildhorse Entertainment officially signed the certificate placing Dennis DiChiaro into this prestigious organization located in South Africa. Dennis has the distinct honor of being inducted into the IDSS Hall of Fame for his life-time contribution to the Independent Music Industry. Dennis is seen holding his award in the picture above while visiting the Songwriters Room at the Animated Hall Of Fame, confirming his induction into the HALL OF FAME.